Joe’s main interests lie in the elucidation of the neurobiological effects of cannabinoids in both natural and drug-induced reinforcement. 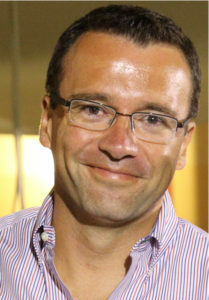 Joe graduated from Universidad de los Andes (Bogota, Colombia) with a B.S in Biology in 1996. 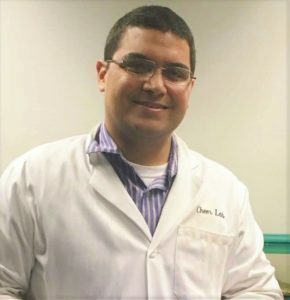 He joined the Laboratory of Neurobiology and Experimental Microsurgery at the Colombian Neurology Foundation where he worked for 1 year investigating CNS regeneration using oncogene-tranfected cells and sciatic nerve co-grafts in motor cortex-lesioned animals. Joe received his Ph.D from the University of Nottingham (Neuroscience Section of the School of Biomedical Sciences) under the direction of Profs Charles Marsden and Dave Kendall and Dr Rob Mason. Joe’s graduate research focused on the behavioral and electrophysiological effects of cannabinoids. Joe’s first postdoc (2000-2002) was spent in Sam Deadwyler’s laboratory (Wake Forest University School of Medicine) where he conducted research on multiple single-unit electrophysiology in freely moving organisms. 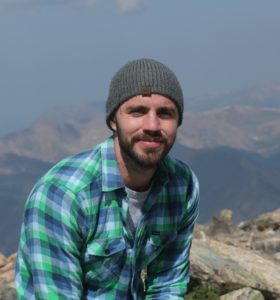 Joe joined Mark Wightman’s lab as a post doc in fall 2002 at the University of North Carolina (Chapel Hill). There, he established the use of a microelectrode that allows for the simultaneous measurement of single-unit activity and dopamine release via fast-scan cyclic voltammetry. Joe is currently a tenured professor at the University of Maryland School of Medicine, where he directs undergraduate, graduate and postdoctoral projects related to several neurophysiological and neurochemical aspects of endogenous cannabinoid signaling in intact systems. In his spare time Joe likes to enjoy the outdoors with his two daughters, his wife and his rescue dog, Rusty. Neurobiology and psychology became Inna’s main interest during high school and she knew she wanted to be a researcher in this area. Inna earned her B.S in Molecular Bio-Chemistry from Technion, Haifa, Israel in 2008. 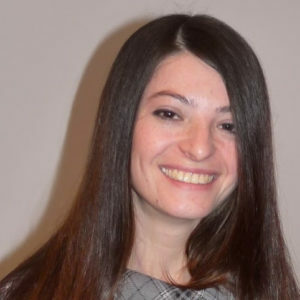 During her studies at the Technion she met prof. Kobi Rosenblum whose research in taste learning and memory mechanism dazzled her so she decided to continue her education in his lab. A year later she joined prof. Kobi Rosenblum’s lab in Haifa University as a M.S. student. During this time she worked with transgenic mice to determine how regulation of translation elongation involved in taste memory formation and its consolidation. By using behavioral, molecular, and imaging techniques, she was able to make progress in understanding the relationship between regulation of protein synthesis during memory consolidation and behavioral output. 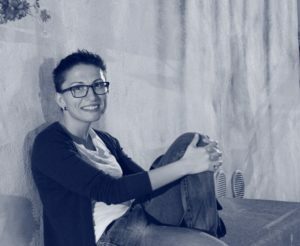 Inna joined the Cheer Lab in December 2011 to learn about electrochemical and neurophysiological recordings in behaving animals, and to better understand the endocannabinoid system. Inna’s future goals are to complete a Ph.D. in neuroscience. In her spare time she enjoys reading, watching movies, photography and traveling. In 2007, Dan completed his B.S. in Psychology at Illinois State University. Following his undergraduate studies, Dan completed an M.S. in Biology in Dr.Paul Garris’ lab at Illinois State University in 2010. His M.S. research demonstrated that electrical stimulation of the subthalamic nucleus (STN) elicits dopamine signaling in the rat striatum as measured by fast-scan cyclic voltammetry (FSCV). This work offers potential insight into the therapeutic effects of STN deep brain stimulation (DBS) for the treatment of Parkinson’s disease – a disorder arising from denervation of dopamine input to the striatum. Dan continued his graduate studies under Dr. Paul Garris at Illinois State University and completed his PhD in Biology in 2013. His doctoral research activities focused on investigating the neural mechanisms by which amphetamine elevates dopamine signaling in discrete brain regions of the live rat. This work implemented real-time measurements of dopamine signaling with FSCV to demonstrate novel actions of amphetamine on vesicular dopamine stores in the dorsal versus ventral (i.e., nucleus accumbens) striatum. Dan also demonstrated in the anesthetized and freely-moving rat that the classic mechanism whereby amphetamine disrupts normal patterns of dopamine signaling and increases extracellular dopamine via an action potential-independent mechanism does not manifest in vivo. Rather, amphetamine acts similar to other abused drugs (e.g., cocaine, nicotine, and ethanol) in that a drug-induced increase in dopamine cell firing is required for amphetamine to elevate extracellular dopamine levels. In the Winter of 2014, Dan joined the lab of Dr. Joe Cheer at the University of Maryland School of Medicine as a postdoctoral fellow. Here at UMB, he will expand his technical training by implementing optogenetic, transgenic and neural circuit mapping approaches to explore the role of dopamine and endocannabinoids in the temporal control of goal-directed behavior. Natalie graduated from the University of Minnesota with a BA in physiology and a BS in neuroscience in 2008. Following her undergraduate studies, she completed her PhD in neuroscience in the behavioral pharmacology laboratory of Marilyn Carroll, PhD, at University of Minnesota in 2014. Her research in the Carroll Lab investigated vulnerabilities and treatments for drug addiction using rodent self-administration models, and her doctoral thesis examined the effects of wheel running on cocaine relapse-related behavior and its neurobiological substrates. Natalie joined the Cheer Lab as a postdoctoral fellow in the summer of 2014. Here, she will expand her technical training to examine the endocannabinoid modulation of dopamine transmission during motivated behaviors using electrophysiological and optogenetic approaches. Sonia earned her BS in biology, then a MS in neuropsychobiology, at the University of Cagliari in 2012. 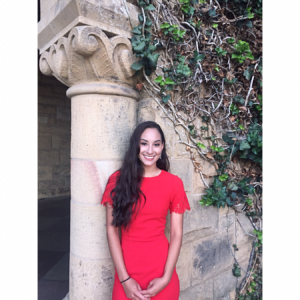 During her MS, she mastered in brain microdialysis, examining the effect of social isolation and the involvement of CB1 receptors in blunting extracellular dopamine increase in the medial prefrontal cortex in response to food anticipation and presentation in food-restricted rats. Following her undergraduate studies, she was trained at the Neuroscience Institute of National Research Council to perform EEG recordings in a drug-resistant murine model of epilepsy investigating the therapeutic effect of a PPAR-alpha agonist. Sonia completed her PhD in Neuroscience in the laboratory of Professor Marco Pistis, at the University of Cagliari. Her research was focused on investigating the neuronal adaptations of brain areas primarily involved in reward and aversion during cannabinoid withdrawal using in vivo extracellular single unit recordings. In 2017 she joined the Sparta Lab, at the University of Maryland, as a postdoctoral fellow, where she carried on in studying the brain circuitry that underlies drug addiction, taking advantage of in vivo electrophysiology. Her work focused on investigating the involvement of central amygdala CRF neurons in encoding binge ethanol drinking. 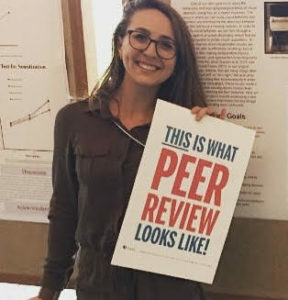 She joined the Cheer Lab in the fall of 2018, as a postdoctoral fellow. Here, she is going to expand her knowledge in electrophysiology and she will learn fast-scan cyclic voltammetry, while working on a project aimed to analyse neuronal population activity in the cortex and the striatum through age in an animal model of Huntington’s disease. Kate completed her B.Sc in Psychology with Cognitive Neuroscience at the University of Leicester in 2014. During her undergraduate studies she was awarded a Wellcome Trust biomedical research scholarship to complete a lab internship with Dr Andrew Young. In this project she learnt to record dopamine release in mouse brain slices on a subsecond timescale using fast-scan cyclic voltammetry (FSCV). Using this technique she investigated the neuroprotective effects of GABAergic drugs in an ex vivo model of ischemic stroke. Striatal damage following an ischemic event was reduced by brief periods of hypoxic stress and this reduction was mediated by GABAergic transmission. Following her undergraduate studies Kate was awarded BBSRC doctoral funding and completed a PhD at the University of Leicester with supervisors Dr Andrew Young and Dr James McCutcheon. 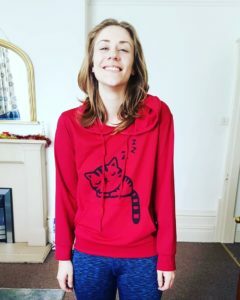 In the first year she completed a clinical internship with the Early Intervention in Psychosis and Assertive Outreach teams – NHS Leicestershire. She worked with patients with psychosis, schizophrenia, bipolar disorder, depression and other mental health conditions in both secure ward settings and within the community. The next three years she spent in the lab developing a behavioural assay for distraction and implementing viral and fiber photometry techniques in rats. She assessed VTA dopamine responses during saccharin consumption and found that these neurons encoded both ongoing consumption and distracting sensory stimuli. VTA activity was suppressed during long bouts of consumption and rapidly elevated when a rat was distracted. Interestingly, the VTA seems to be involved in both ongoing consumption and responses to sensory stimuli. Within the McCutcheon lab she also contributed to experiments on protein specific appetite and learnt behavioural conditioning methods, immunohistochemistry and coding in Python. 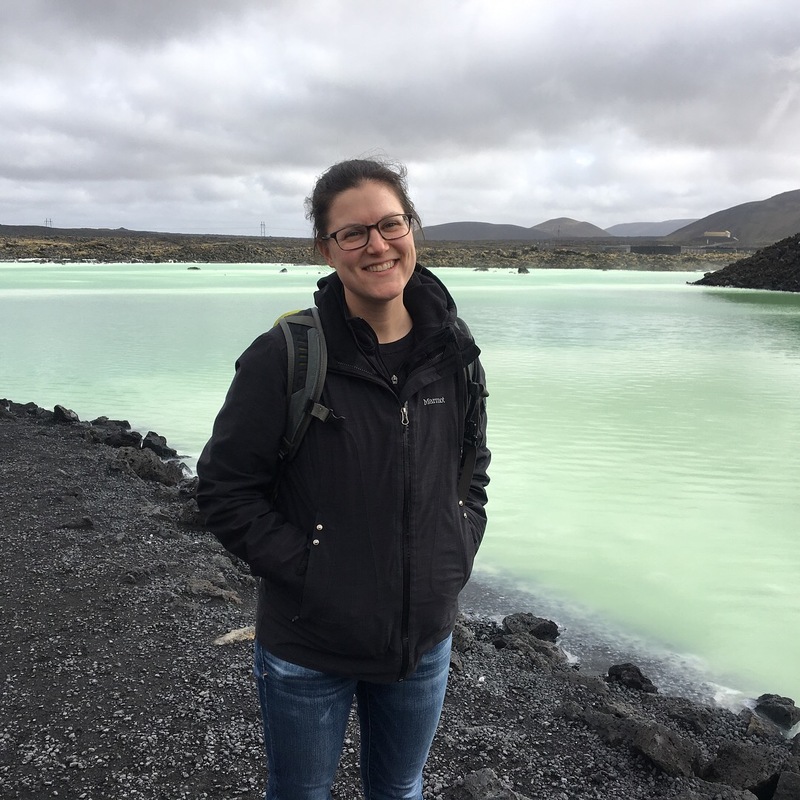 In February 2019, Kate joined the Cheer lab at the University of Maryland as a postdoctoral fellow. Here, she will investigate the role of CB1 receptors within the dorsal raphe in modulating reward related behaviors within the VTA to NAc pathway. In particular she will apply genetic, optogenetic, photometry and voltammetry techniques to study DRN inputs to the ventral tegmental area (VTA) in reward related behaviors, and how the endocannabinoid system is involved in modulating these behaviours in both adult and adolescent animals. Edith graduated from The University of Texas at El Paso (UTEP) in 2017 with a B.S. in Psychology, a B.S. in Biological Sciences with a biomedical concentration, and a minor in Chemistry. Edith worked with Dr. Ted Cooper at UTEP for 3 years, helping with StopLite, a smoking cessation program for light and intermittent smokers and assisting the A Smoke-Free Paso del Norte Initiative within El Paso, Texas and Ciudad Juarez, Chihuahua, Mexico. She then joined Dr. Eddie Castañeda and Dr. Katie Serafine’s labs where she became familiar with pharmacology and behavioral neuroscience in a series of projects focusing on Parkinson’s Disease, amphetamine sensitization, and the impact of diet on drug response. 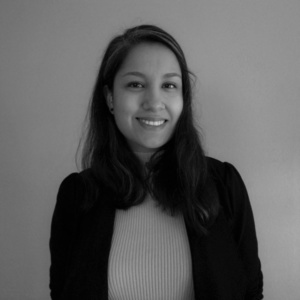 Edith is now a Research Fellow with the STAR-PREP program at UMB, where she will expand her technical training in preparation for a combined MD/PhD program. In 2016, Antonio graduated from the University at Buffalo with a B.S. in Biological Sciences, concentrating in Neuroscience and Cellular & Molecular Biology, and a B.A. in Chemistry. During his undergraduate studies, Antonio worked under Dr. Valerie Frerichs analyzing anions from local bodies of water in order to study the concentration gradients and determine the effects from both a human health and ecological standpoint. Antonio also worked under Dr. Sarah Walker to determine the importance of phosphorylation zones on translation factor eIF4E by utilizing CRISPR to alter phosphorylation site in yeast cells. Upon graduating, Antonio accepted a research position at the Research Institute on Addictions, under Dr. Peter Thanos, focusing on the role of fatty acid binding proteins as transporters of endocannabinoids. Currently, Antonio is a Research Fellow with the STAR-PREP program at UMB working in Dr. Joseph Cheer’s lab to further investigate the role of endocannabinoids in motivated behavior and memory. Erin graduated from Muhlenberg College in 2018 with a B.S. in Neuroscience and a minor in Philosophy. At Muhlenberg College, Erin worked with Dr. Patrick Williams studying visual behavior and attention in Musca domestica and assisting with the structural development and assessment of various mazes to ensure a true two-alternative forced-choice task. As a current research technician in the Cheer Lab, Erin works with Dr. Natalie Zlebnik on a project investigating impulsivity and the behavioral effects of THC and Ritalin in rats using a delay discounting task. She employs optogenetics to study the dopaminergic system of the ventral tegmental area and nucleus accumbens. Kimberly graduated from Trinity Washington University in 2019 with a bachelor’s in biochemistry and mathematics. During her undergraduate career, Kim worked with Dr. Li-Jin Chew at Children’s National Medical Center in D.C. studying multiple sclerosis, where she applied molecular biological techniques and approaches in the study of brain white matter cell homeostasis, using genetically altered mouse models and gene expression assays to understand mechanisms of cellular regeneration relevant to Multiple Sclerosis research. Furthermore, in 2017 she completed a summer research program at Stanford School of Medicine where she studied addiction in a psychiatry lab under the mentorship of Dr. William Giardino. Kim joined the cheer lab in February 2019 and will be working with Dr. Kate Peters studying the role of CB1 receptors within the DRN in modulating reward related behaviors within the VTA to NAc pathway. She will use techniques such as optogenetics, photometry and voltammetry to study reward related behaviors and how the endocannabinoid system plays a role in regulating these behaviors. In the future, Kim’s goal is to attend medical school and obtain an MD/PhD. Andrew graduated from the Johns Hopkins University in 2012 with a B.S. in Biomedical Engineering. In the Cheer Lab, Andrew assists with ongoing studies on endocannabinoid modulation of dopamine transmission and effects on goal-directed behaviors via electrochemical and optogenetic techniques. 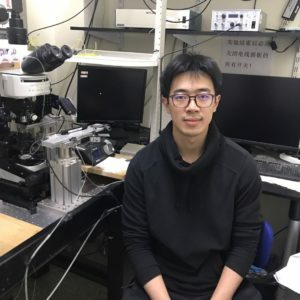 He is currently implementing an in-vivo calcium imaging method to study neural network dynamics associated with the onset and progression of Huntinton’s disease in mouse models. Samantha graduated from Miami University in 2018 with a B.A. in Psychology and a minor in Spanish. 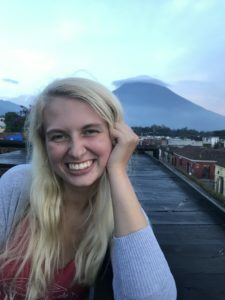 During her time at Miami University, Samantha worked with an undergraduate research team in the Broadening Undergraduate Research Program led by Dr. Jennifer Quinn. The project assessed the effects of early life stress (acute versus chronic) on behavioral flexibility and compulsivity with alcohol as a reward. Samantha also worked under Dr. Matthew McMurray investigating the effects of oxytocin on impulsive decision making. She joined the Cheer Lab in October 2018 as a research technician. Lakota graduated from the University of Colorado Boulder in 2018 with a B.A. in Neuroscience and a B.A. in Psychology. 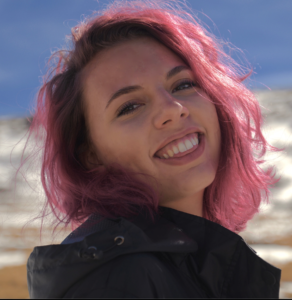 During her time at CU, Lakota worked with Dr. Marie Banich studying adolescent mood and cognition and assisted in behavioral tasks during fMRI and MRS sessions with teens and their parents. The project she worked on focused on GABAergic signaling in the PFC, mood, and behavior. It evaluated connections between overall cognition and brain activity and psychological state in adolescents with a genetic risk for mood disorders. She joined the Cheer Lab in October 2018 as a research technician. Presently, Lakota works with Dr. Jen Wenzel and Dr. Joseph Cheer on two projects. Her primary project examines the role of endocannabinoid mediation of oxytocin and its effects on prosocial behavior in mice. She employs both a Pavlovian social distress task and in vivo calcium imaging to quantify such effects. Additionally, Lakota continues Dr. Wenzel’s work in elucidating the role of the mesolimbic dopaminergic pathway in active avoidance. In the future, Lakota hopes to attend graduate school and obtain a Ph.D. in neurobiology. Lan-Yuan Zhang graduated from the Peking University in 2015 with a B.S. in basic medical science. He enrolled in the Ph.D. program in neuropharmacology at Peking University in 2015. 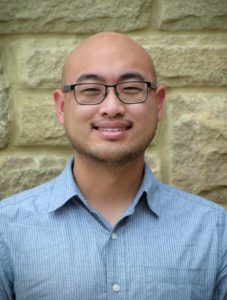 In October 2018 he joined the Cheer Lab as a visiting scholar. 1. Patch-clamp: Brain slice whole-cell patch-clamp recordings (including voltage-clamp and current-clamp), LTP analysis in hippocampus via recordings of field potentials. Interested in joining the lab? Contact us about potential openings.